In the traditional brick-and-mortar casinos, you will find all the action at the Craps tables. The gameplay in this dice game revolves around a single player—the shooter, or the player responsible for throwing the dice. Whenever his dice are hot, everyone else at the table enjoys a winning run. The shooter then becomes the hero. The rules of online craps are not different, although the shouting and screaming are absent. Online Craps is one of the most popular online casino games, and mobile Craps is becoming just as popular. iPhone / iPad Craps casinos offer all the thrilling real money action that regular online casinos offer and is one of the most frequented types of mobile casinos. If you own an iPhone or an iPad, you have a world of entertainment in your hands, and that includes mobile Craps. The iPhone is without doubt a symbol of the most advanced mobile technology in the world, and with its cutting-edge graphics you can count on high-end entertainment value when playing at iPhone/iPad Craps casinos. 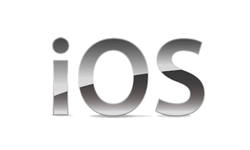 Regardless of what version of the iPhone you own (the newest devices—the iPhone 5C or iPhone 5S, or one of the earlier models—iPhone 5, iPhone 4, iPhone 3G, or iPhone 3Gs) it's very easy to get started playing at iOS compatible casinos. Mobile casino apps are also available for iPad tablets of any variety. Start by identifying the iPhone/iPad Craps casino you would like to try. These casinos will have the App Store icon displayed on their homepage or mobile page. Once you find the iOS-compatible app, you can download it and register an account. Typically, on-screen instructions are provided to prompt you through the download. iPhone/iPad Craps feature stunning graphics, and although the iPhone screen is smaller than other devices and what you may be accustomed to, you will quickly get used to it, as the graphics and game play are not compromised in most iPhone Craps casinos. They offer specialized options and optimized features that make iPhone/iPad Craps swift, unique, and convenient. For instance, most iPhone Craps casinos are customized for the sensitive iPhone screen, and with just a shake or tap, you’ve set the dice rolling. Watch them roll in real time, and try different motions to affect the dice throw. You can even blow on the dice, kiss the dice, and use the same hand motions that you would use to roll actual dice at some iPhone/iPad Craps casinos. For most iPhone/iPad Craps games, you will find that betting is simplified and easy, as there are quite a lot of betting options in Craps. Many apps also include tutorials that outline the betting options and rules of the game for beginners. Before you start playing, you must learn the basic rules of Craps. If you are going to try and learn to play via an iPhone/iPad Craps casino, then start with free play games first before you play craps using real money. The good news is that once you learn Craps, the rules are a constant no matter what platform the game is played on whether online, mobile, or land-based. The adrenalin and adventure remain consistent across the board, as well. To stay in a game of Craps, you will have to start off your “come out” roll with a 7 or an 11 (a “natural”) to win the “Pass line” bet. If you roll a 2, 3, or 12, you lose. If you roll any other number, you can roll again in hopes of rolling the same number again, hoping not to roll a 7. Real money iPhone/iPad Craps games can be played once you fund your iPhone/iPad Craps account. iPhone & iPad Craps casino apps make it easy to reload your account by saving your deposit preferences each time you log in. Secure and instant deposit options in the banking section of your iPhone/iPad Craps casino will be readily available. iPhone/iPad Craps casinos may very well be the best-developed mobile casinos available, for the time being. Whatever the reason, if you own an iPhone and like Craps or are interested in trying mobile Craps for the first time, you are in the perfect position to enjoy mobile Craps from one of the many reputable iPhone/iPad Craps casinos available.